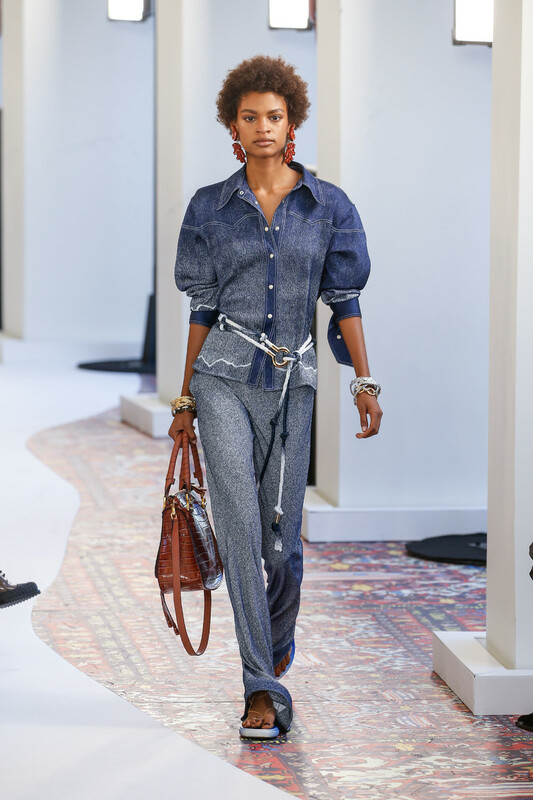 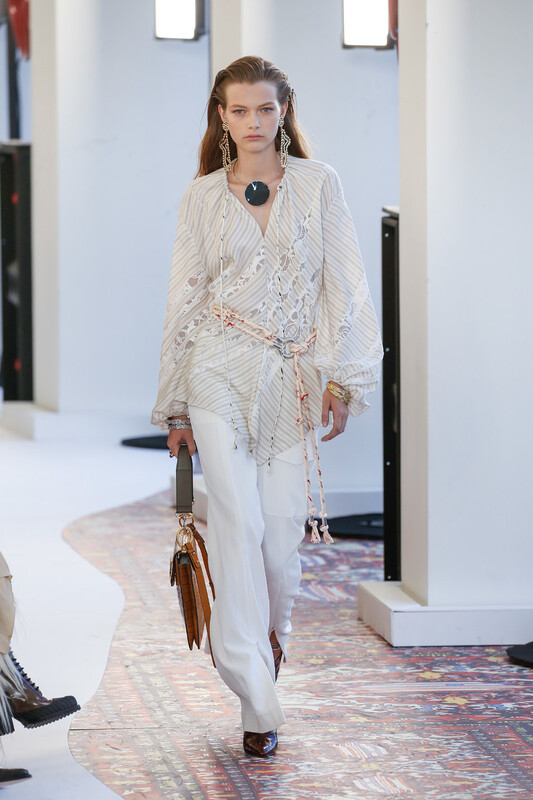 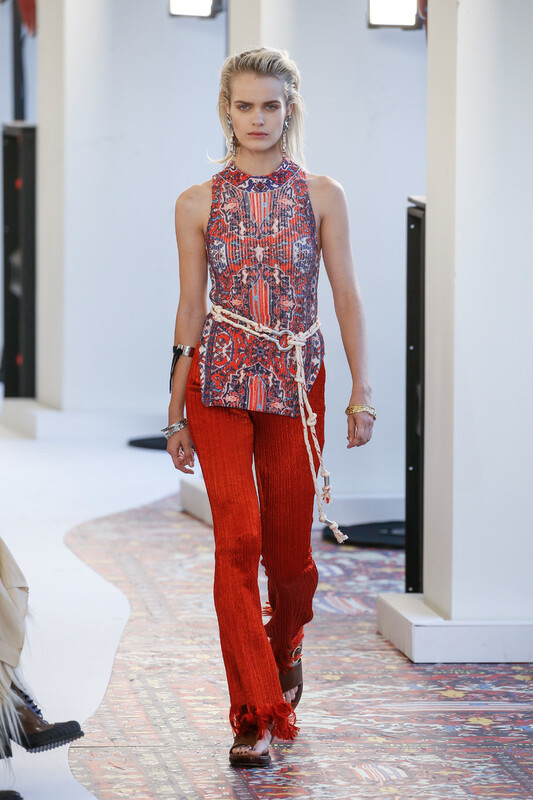 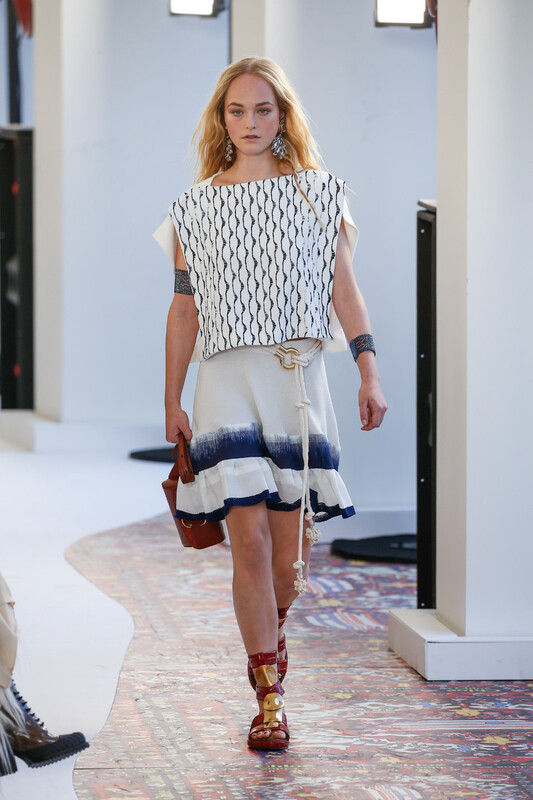 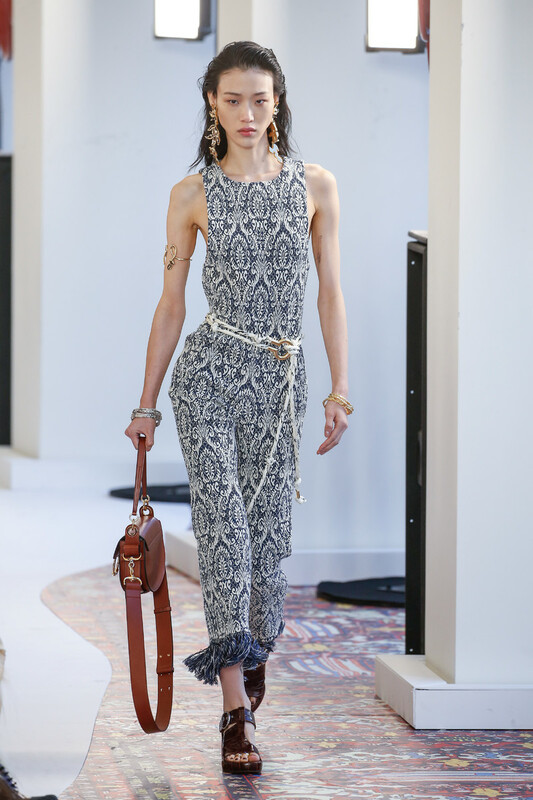 We haven’t seen this many prints at Chloé in a while. 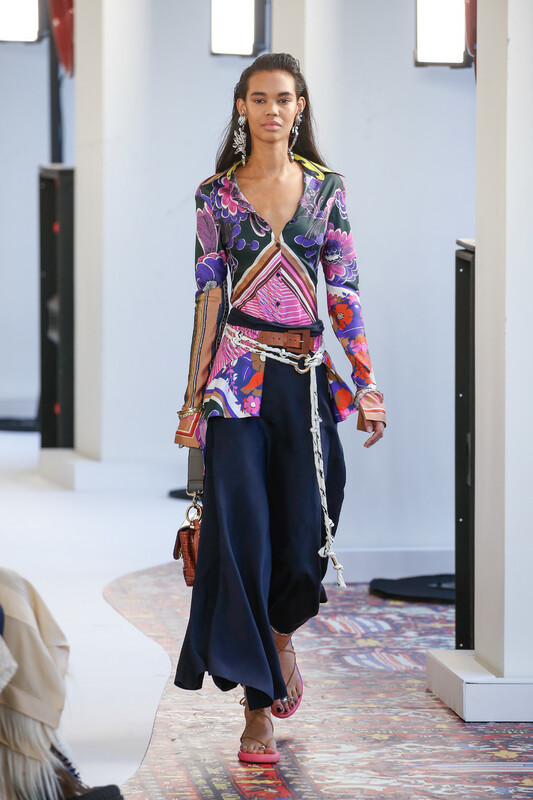 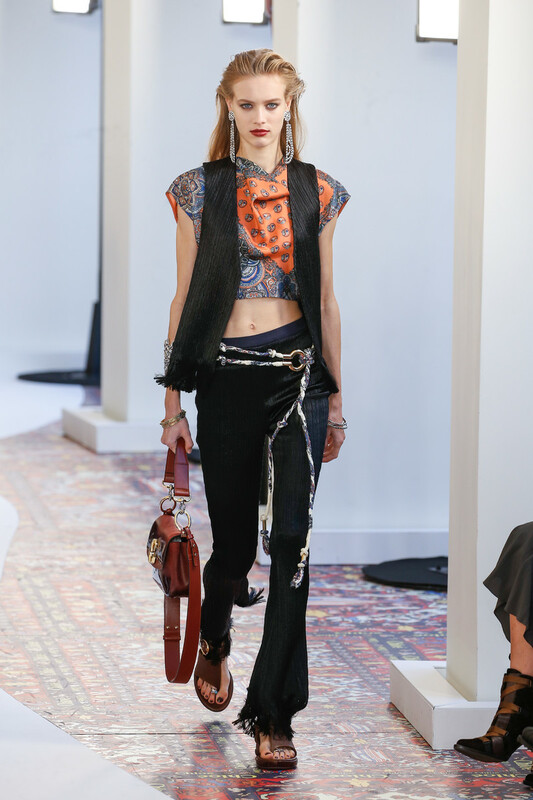 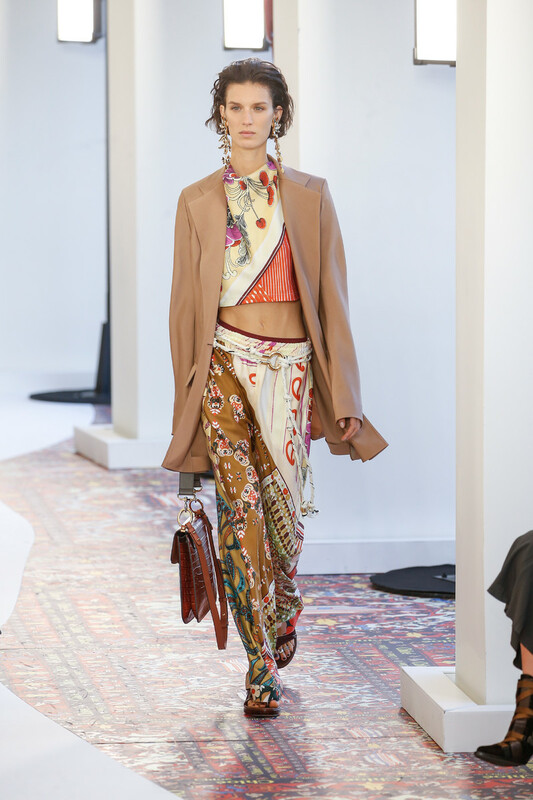 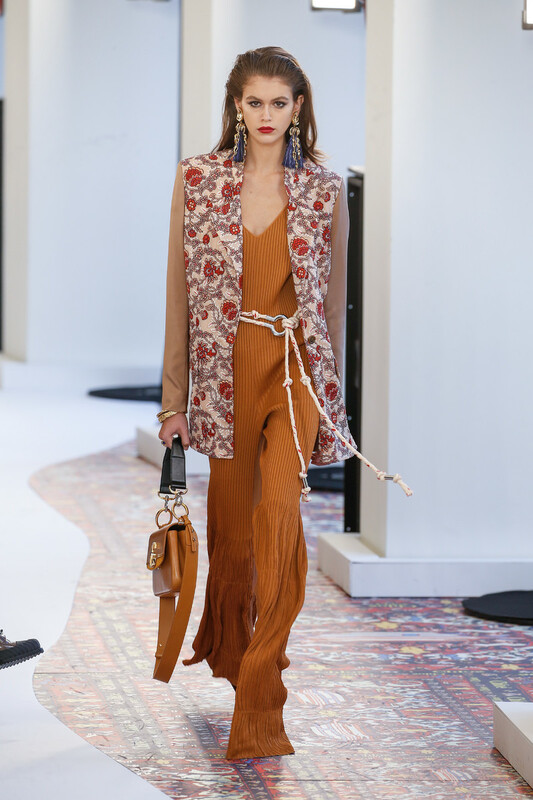 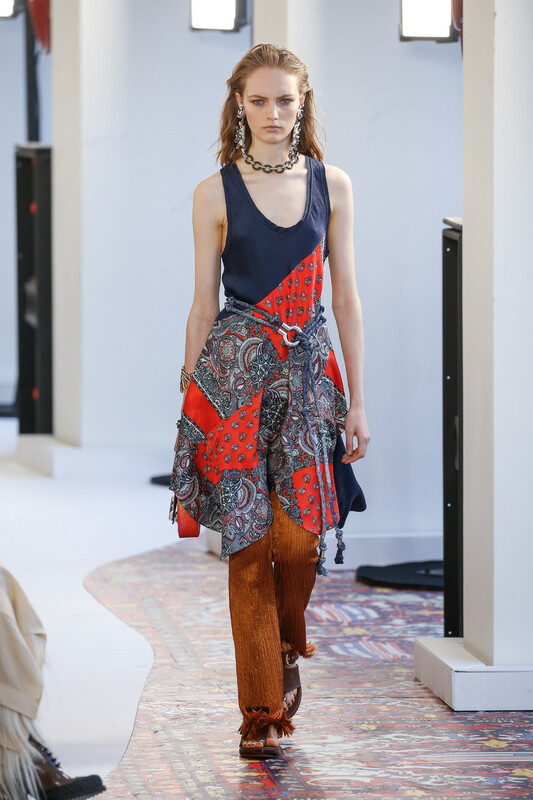 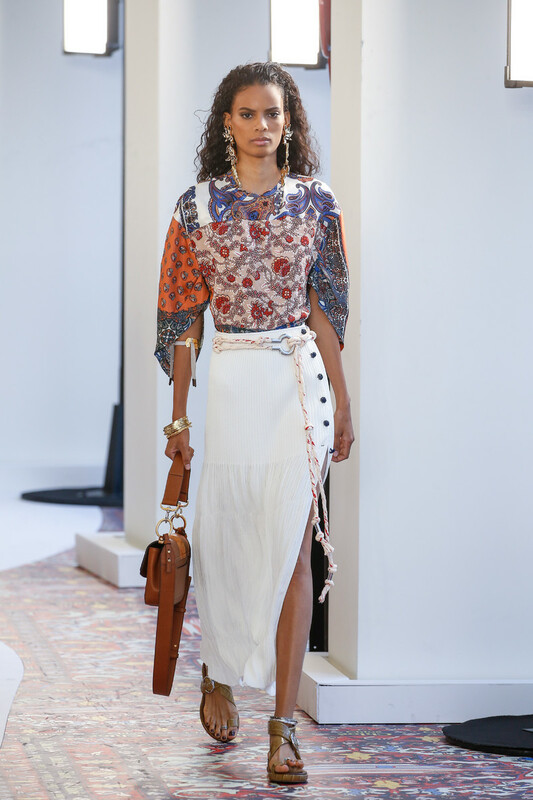 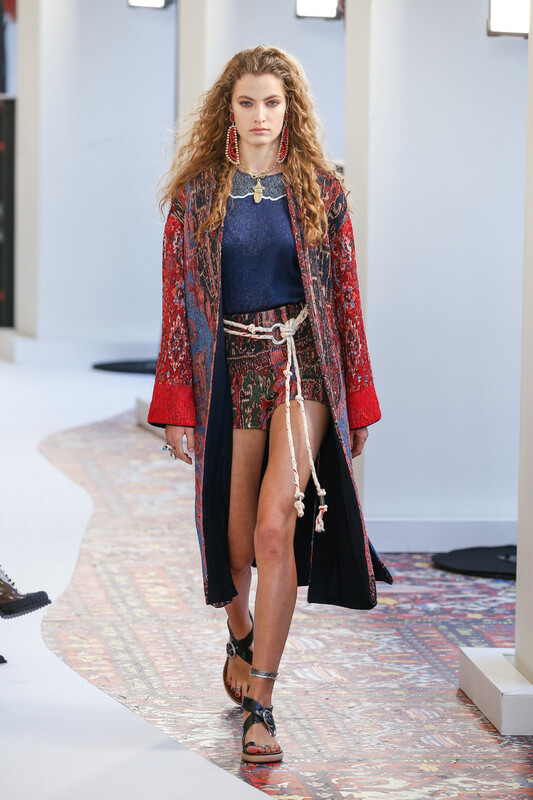 Especially the mix of multiple scarf prints which had an Etro touch to them, felt different. 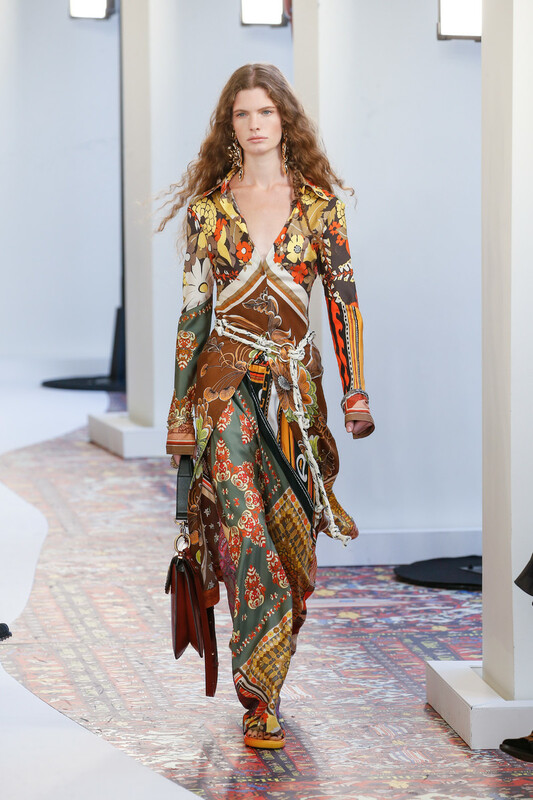 And apart from the prints the collection was high on accessories too. 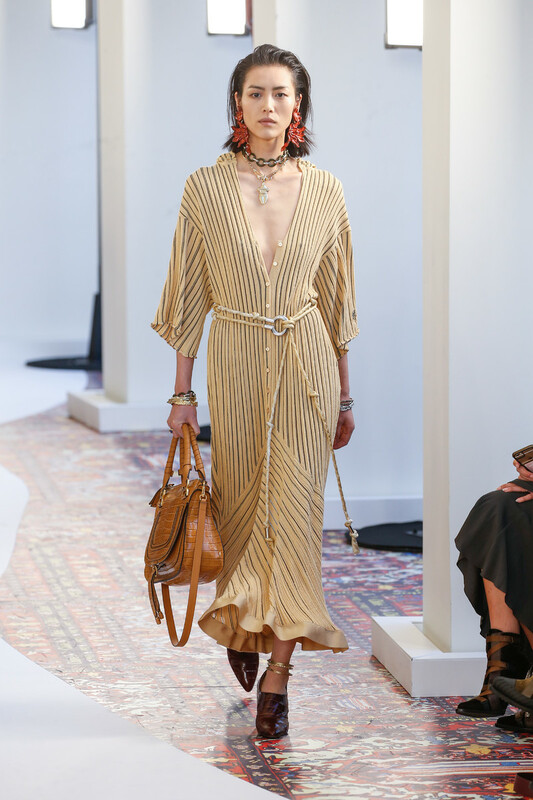 Like the statement sculptural earrings, the necklaces, the rings, the cuffs and the rope belts the wavy haired models wore. 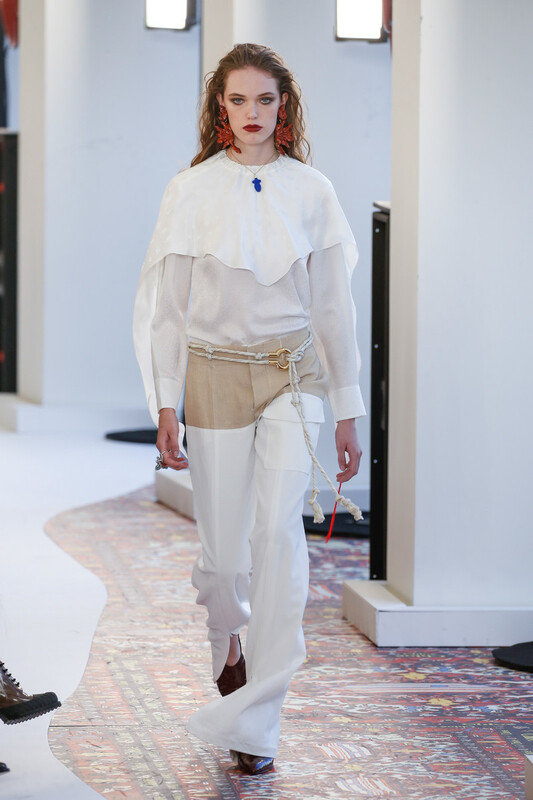 Gem stones attached to the clothes made up for true show stoppers too. 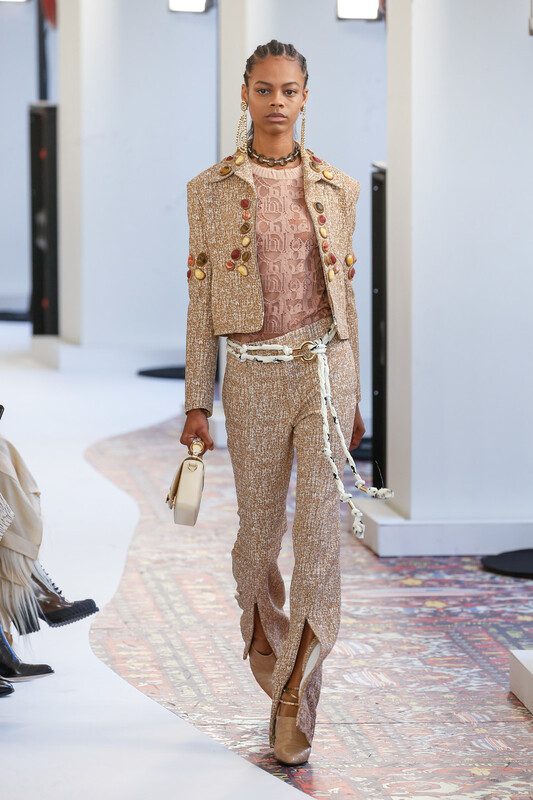 Not to mention the bags (Chloé slagship), which seemed quite formal compared to the loose, effortless style of the clothing. 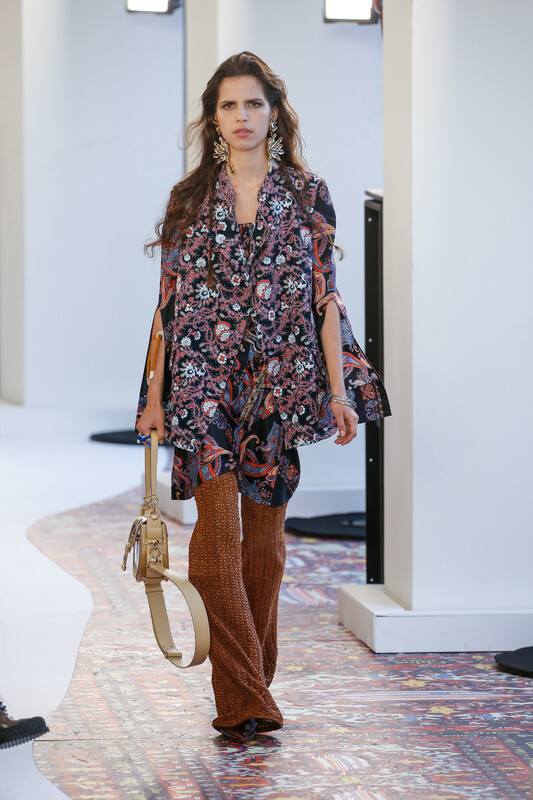 The looks felt slightly hippie inspired. 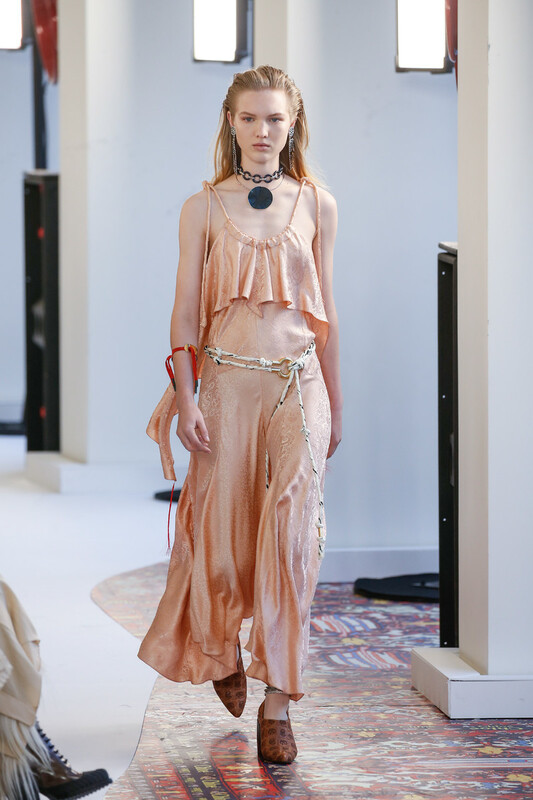 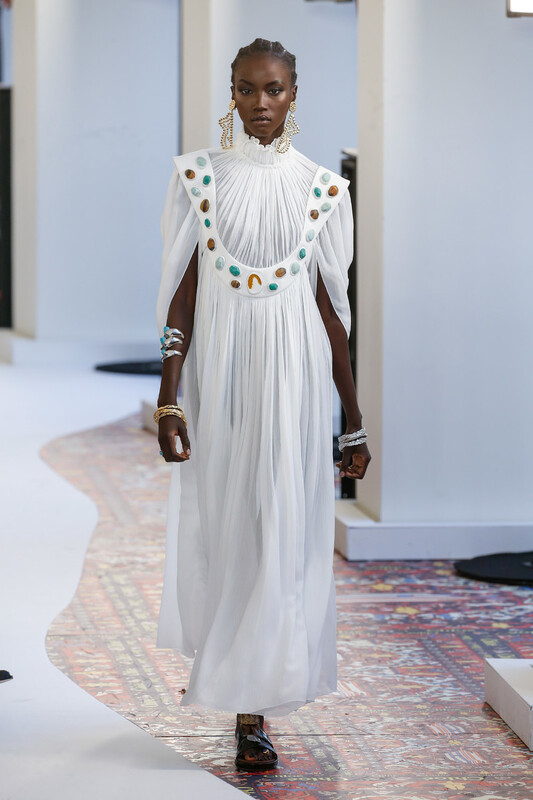 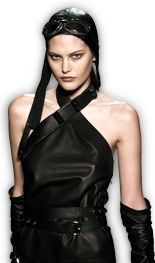 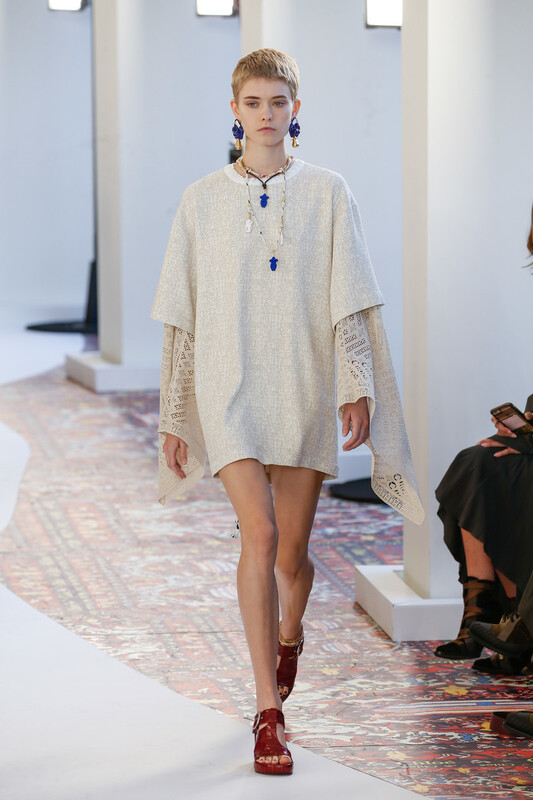 Rianne van Rompaey opened the show in a one shouldered satin dress with a flared sleeve and a hip belt with a long printed scarf (sarong inspired) attached to it. 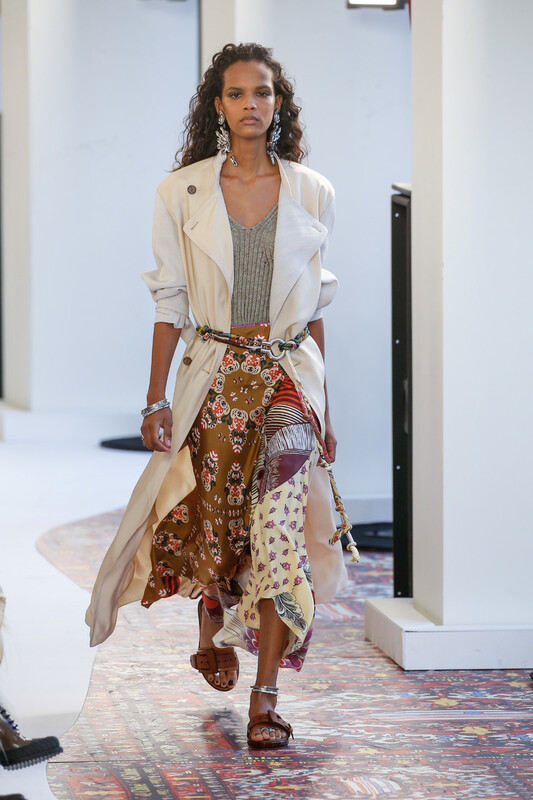 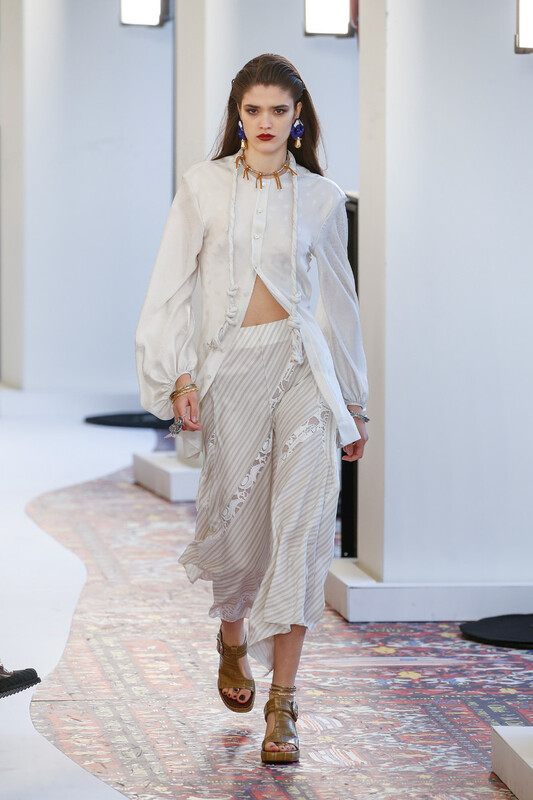 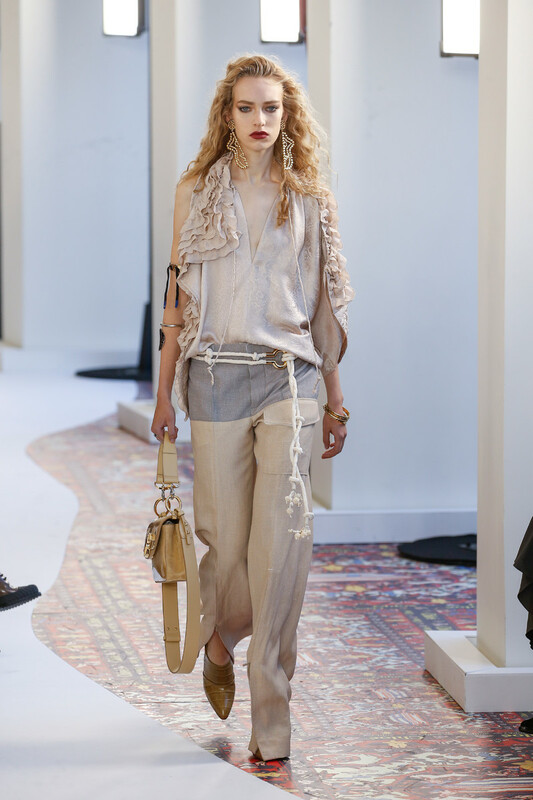 Marte Mei van Haaster sported loose printed pants, a printed cropped top and a beige colored bold blazer. 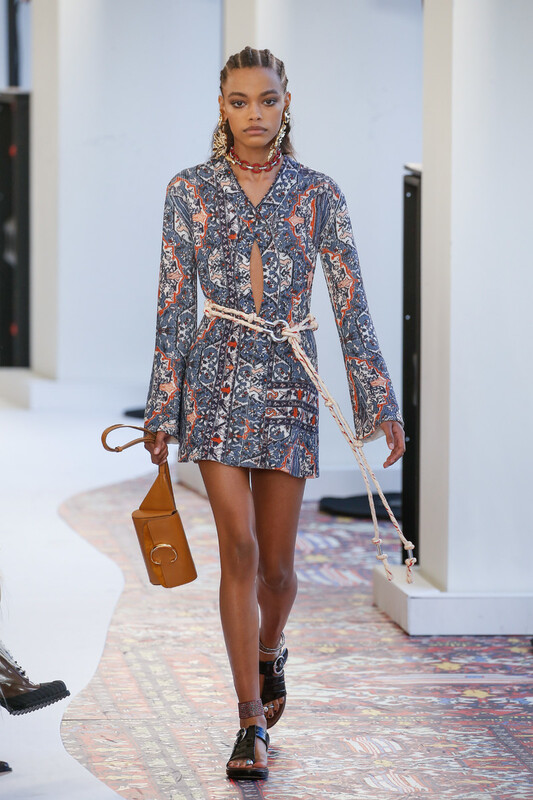 Rebecca Leigh Longendyke sported a ceramic printed skirt with frayed ends and a logo T-shirt, which is rare for a brand like Chloé. 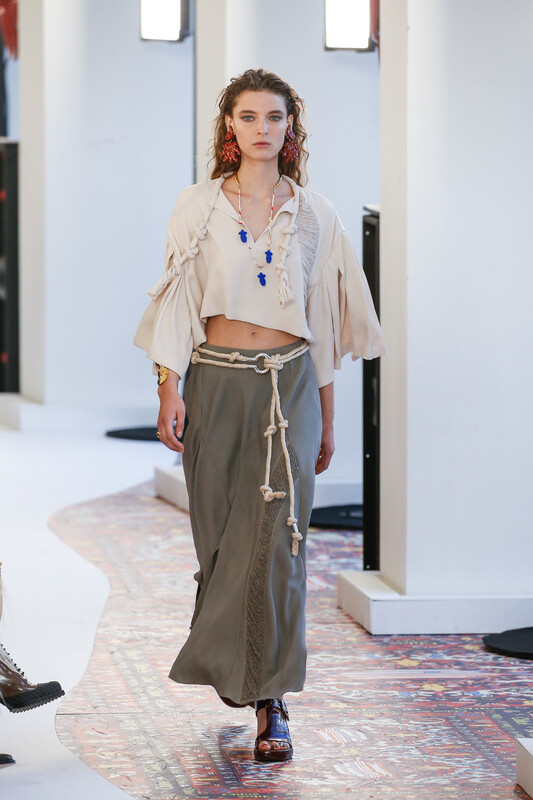 A selection of delicate plisse numbers formed the finale of an effortless collection. 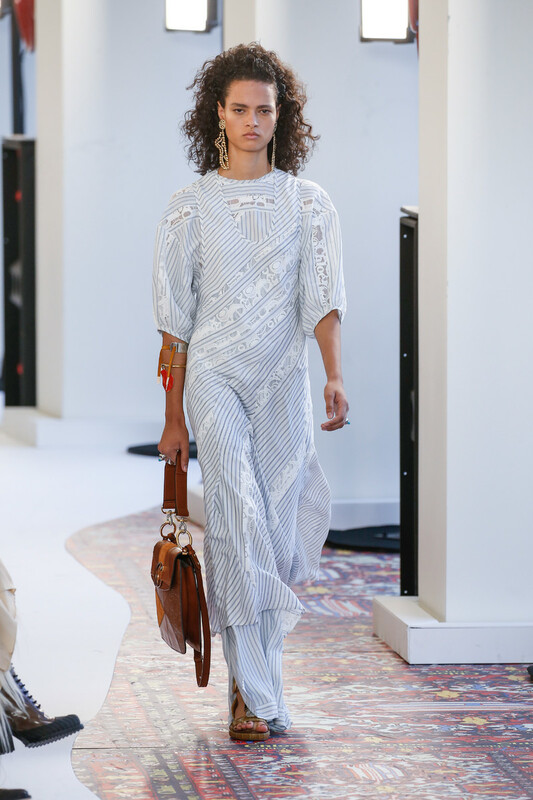 And now just like Natacha Ramsay-Levi we want to book a trip to Ibiza or Morrocco, or both!